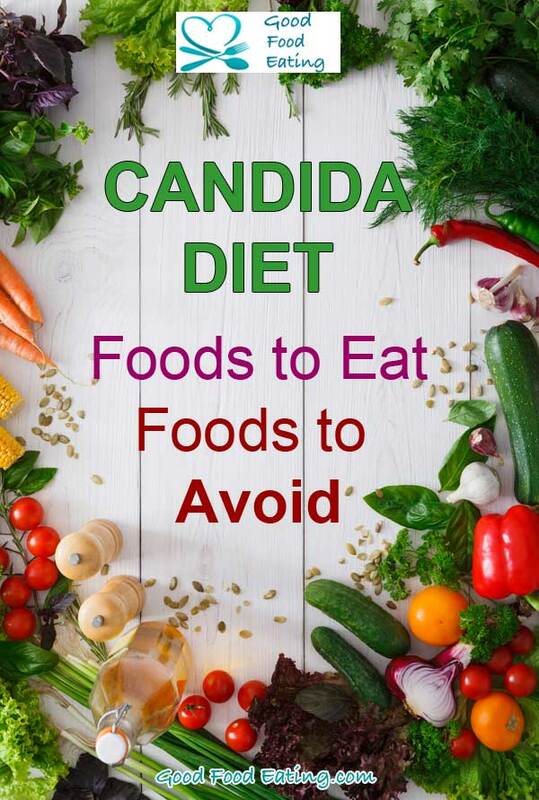 Diet is the most significant healing factor when it comes to ridding your body of candida albicans. You have to starve them out and this requires VERY STRICT adherence to a diet that excludes all the foods that feed the bacteria. You have to stick to the diet 24/7 for a minimum of 6 weeks with absolutely no cheating. If you cheat or eat sugar or any of the other foods in any form, the candida can quickly get a hold again and you won’t be able to kill it off effectively. This is probably the biggest obstacle to get around because it requires a HUGE shift in mindset to accept that you will not be able to eat certain things, at least for a while. Depending on the severity of symptoms you may have to stick to the diet much longer. Still if you keep 6 weeks in mind as a starting point, if it turns out you have to keep going longer, by then you will be in a good routine and will find it easy to do. The benefit is that the diet starts to make you feel so good that you may even want to keep eating this way for the long term. Perhaps not so strictly but as a good solid base. Loads of veggies – these should form the basis of the plan. Healthy fats – olive oil, coconut oil, walnut oil, macadamia nut oil, flaxseed oil and avocado. Gluten free whole grains – brown rice, qunioa, millet, amaranth, buckwheat and steel cut or gluten free oats. 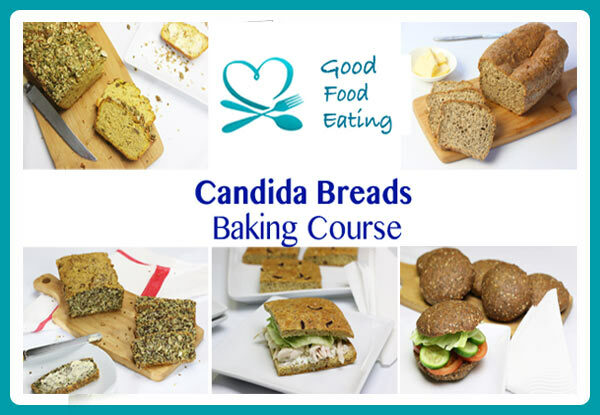 Gluten free, yeast free bread products – you can make your own bread from wholegrain gluten free flour or coconut flour. Beans – except kidney beans. Here’s how to prepare and cook beans properly. Hummus – you probably need to make your own because you can’t eat vinegar. Medicinal mushrooms – maitake, shiitake, chaga, reishi. Here’s 3 posts that might help too. The foods below are all the foods you have to eliminate completely for minimum 6 weeks. All sugar in all forms including natural sweeteners like honey, maple syrup and so forth. The only sweetener you can have is stevia in small amounts but it’s still best to avoid all forms for the first 6 weeks. Refined carbs and grains – your white flours, rice and pastas. Dairy – except cottage cheese and plain yogurt. Gluten – all products containing wheat, barley and rye. Fruit – all types and dried fruits too. Smoked and cured meats – bacon, ham, smoked salmon and packaged meats. Preservatives – frequently derived from various yeasts. Fermented foods – including kombucha, sauerkraut, and other fermented foods like sourdough, soy sauce, miso, sauces, condiments. Though these are beneficial for the gut, they are not great for candida initially due to the sugar content and are best avoided. Mold containing foods – mushrooms except for the medicinal ones mentioned above. It may seem like you have to exclude loads of foods but there are still loads of foods to enjoy, it’s just that most of the food has to be prepared from real whole foods. It may seem a bit overwhelming at first but it is possible and the food is still delicious. 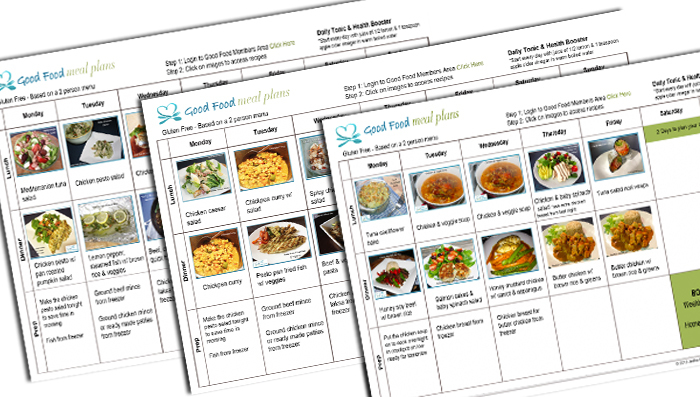 Need Help With Food and Meal Planning for the Candida Diet? Eating doesn’t have to be boring! 1 small handfuls nuts and of course the inclusion of healthy fats. 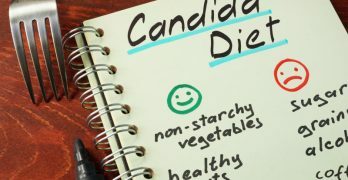 Yes there are foods to avoid on candida – a long list of them! 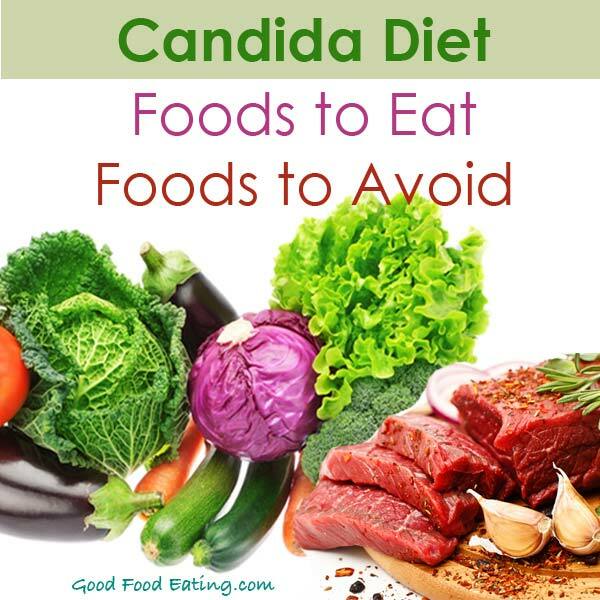 But there are also plenty of foods you can eat on candida. It will be different. And though a candida diet may seem restrictive, you can still eat a great variety. 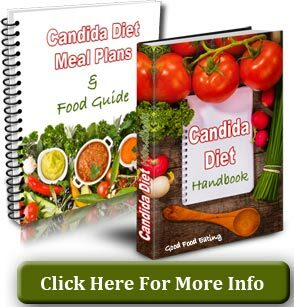 📌 Check out the Candida Handbook & Meal Plans. The meal plans really do help make the diet a lot more interesting for you, and much easier to follow and overcome candida.